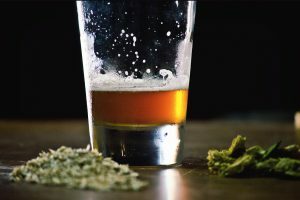 The consumption of some psychoactive substances like alcohol and marijuana is accepted in various regions for multiple reasons and thus they have a wide base of consumers, who often turn into abusers. Others like cocaine are illegal, but still have many consumers who take them for their own reasons, which in most people’s opinions, are invalid. Regardless of why you abuse alcohol or drugs, addiction is likely to catch up with you due to the building up of toxins in your body that ultimately bring health issues. For example, ethanol from alcohol is among the dangerous toxins that recreational drinkers and alcoholics consume on a regular basis. It is harmful to body organs, systems and tissues. If you are among these consumers, you risk losing your life since the health issues bring serious consequences upon you. Therefore, it is advisable to accept change for the sake of your future because it is the only way to live healthy. There is no shame is admitting that you are an addict of any substance. Refusing to accept your weakness means that you have deeper issues that you are trying to cover up. As a result, you will continue spiraling into drugs, mixing them now and then and later pretend that things are fine when they are actually falling apart. Since the human body cells regenerate after a couple of weeks, you have the opportunity to let your body heal itself from the issues that the drugs have caused. However, this does not necessarily mean that you just quit without consulting an addiction specialist. Going ‘cold turkey,’ which is quitting drug abuse or addiction on your own, is risky due to the shock your body experiences after lacking the drugs. The proper treatment to heal your system is through detox, which should be monitored by an addiction specialist. What Is A Good Detox? A good drug addiction detoxification focuses on making over your inner body, through cleansing of the unwanted and dangerous toxins that are detrimental to your health. It begins with halting of the alcohol or drug consumption to purify your blood and body, consuming a healthy diet while also practicing healthy habits and participating in regular exercises. You are advised to seek professional help while undergoing this period because the process differs depending on your addiction level. If it is mild, the addiction specialist will be helpful in ensuring that you do not relapse and treat your withdrawal symptoms. However, if it is severe, your withdrawal symptoms could be life threatening and therefore, you require 24 hour surveillance and treatment. According to addiction specialists, drug addiction should be viewed as a multilayered psychosocial phenomenon and thus is complex. Therefore, no matter how well you indulge in a good detox, you still have emotional, social, psychological and cognitive issues to address, so that you can complete your recovery. The above definition of a good detox explains that purifying your body is quite essential for you to live a healthier life. Therefore, detox is important since it helps you move away from a life of drug dependency. What’s more, the process ensures that your withdrawal symptoms do not threaten your life through the medications suited for this stage. A good detox also ensures that you restore the nutrients that your body had lost, since you are advised to consume certain types of foods. By restoring these nutrients, you get the opportunity to rejuvenate the weak parts of yourself such as bone strength, skin texture and cell and brain health. If you successfully conduct a good detox, you are likely to proceed with recovery without relapsing. As a result, you will be in a better position to face your other problems that led to your drug abuse. With this focus, it is highly likely that you will leave the rehabilitation facility as a better person that has less risks of relapsing and more energy to create a better future. As mentioned above, detox takes place to excrete the toxins from drugs. Therefore, there is a wide range of drugs that if consumed, deposit dangerous toxins. Additionally, avoiding them causes more problems in the form of withdrawal symptoms. Such drugs include alcohol, marijuana, barbiturates, opiates like heroin, benzodiazepines such as Ativan, Xanax and Valium and stimulants like cocaine, Adderall, methamphetamine and Ritalin. Despite that a good detox from these drugs could be hard for you, it is better not to allow them to drown you into worse problems than already caused. 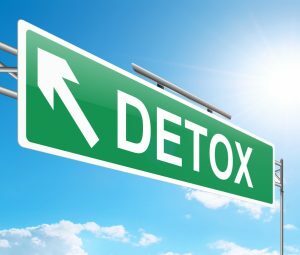 The Substance Abuse and Mental Health Services Administration advises that a good detox must start and proceed systematically, following the necessary stages. These steps include assessment, stabilization and transition into treatment. The successful completion of these stages means that your body is fully cleansed and hence you can fully focus on your recovery plan. Before admission or beginning of detox, your addiction specialist has to investigate your body to understand the real issues that you face. He or she will have to work with a team which will help in making multiple diagnoses. The team could include nurses, psychiatrists, psychologists and therapists. First, they need to understand what drugs you are addicted to, and the level of that addiction. Second, they must find out if you suffer from any psychological issues either caused by the drug or were there initially. Third, they will ask about your medical history to understand your body. Last, they will assess the level of health complications caused by your addiction. To make all the above assessment, the necessary procedures may include comprehensive assessment regarding your medical, physical, mental and psychological state. Blood tests will also be important for blood screening. From the information they gather, your doctor will admit you to begin the detox process. Stabilizing your body begins with cutting off the consumption of drugs since it is impossible to indulge in a good detox while still high or intoxicated. You must understand that this does not mean reducing the dosage that you take, but rather stopping the consumption completely. Unfortunately, this stage is the most challenging due to the withdrawal symptoms that begin right after the body lacks the drugs. Addiction specialists define this withdrawal as the body going into shock due to the denial of something it was dependent on. Addiction period– your withdrawal symptoms vary depending on how often you consumed the toxins and for what length of time. Daily usage for a long time could mean severe symptoms. Mental and physical disorders– if you suffer from problems like mental issues like depression or physical challenges like chronic pain, withdrawal symptoms will take a toll on you. Drugs mixture– mixing of drugs complicates the dependency of your body upon psychoactive substances, hence causing complicated symptoms as well. Despite that different drugs intoxicate your body in different ways, they all share some withdrawal symptoms. Therefore, all persons that abuse drugs are prone to experience common withdrawal symptoms like cravings, physical problems and mood and sleep issues. Mood issues are noticeable through agitation, irritability and mood swings, while sleep problems are depicted through the inability to fall sleep, regardless of whether you are tired. The physical issues appear as flu-like symptoms such as sweating, nausea, vomiting, running nose and head ache. Since the cravings may be severe, you may become tempted to relapse. The common withdrawal symptoms mentioned above are not all that you may experience after cutting off drugs consumption. Various drugs cause other specific symptoms that are different from the rest and hence prove that drugs composition and toxins are different. The following shows the withdrawal symptoms caused by specific types of psychoactive drugs, in addition to all the above. It is important to note that these symptoms do not begin all at once. They begin with the least severe and progresses to the most severe as you continue to stay sober. Therefore, a good detox requires you to care for your body from when you stop taking the drugs. Since your body will be getting rid of the toxins as times goes, it is important to watch your diet. As the withdrawal symptoms begin to take effect, your body will seem vulnerable. At this point, you will have rational but racing thoughts that often seem to encourage you to quit the process and return back to your old drug abuse habits. Additionally, the cravings become severe to the point that all you think about is the drugs. However, giving in to these cravings and thoughts only takes you back to the misery that you were running from in the first place, when you decided to pursue a healthier life. So the only option left is to persevere and hold on tight. While doing so, you can as well focus on how to help your body in its detox and healing processes by watching what you consume. The following are three tips that should promote your good detox. Most of the drugs that addicts abuse drain the water out of them and considering that they stay high most of the time, they hardly rehydrate themselves adequately. For example, alcohol is among the drugs that cause dehydration. Therefore, constantly abusing alcohol will drain majority of your body water, leaving your body cells in turmoil. This explains the symptoms of alcohol abuse, which include fatigue, muscle pain and headaches. Therefore, rehydration is really essential at this point to reenergize your cells so that they can have the energy to remove the toxins embedded in them as they regenerate. By drinking more and more water daily, your body is able to flush out the toxins, which often leave the body through your urine. Additionally, the water helps the kidneys to function better, especially if they were about to become critically ill. Despite that the water may not really stop the impact of the withdrawal symptoms; it could assist in ensuring that your cells begin the healing process. During your addiction period, it is possible that consuming the drug toxins was accompanied by unhealthy foods. Therefore, your body lacks the necessary nutrients to help in the removal of the toxins and production of energy. 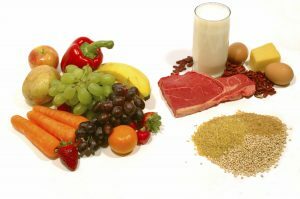 Hence, it is highly advisable to change your diet in this detox period so that the healing can take place effectively. Consumption of the good nutrients begins with avoiding the bad foods that could block your body healing process. They include bad fats and sugars. Additionally, the refined and processed foods are not any better since they are unnatural, have almost not nutrients and harder to digest. The majority of these foods are such as those in cans, jars and boxes, among others. The next step may include consuming juices that will jumpstart your body. These juices should be extracted from natural vegetables and fruits. They will provide you with multiple minerals and vitamins that are helpful to your body. Extracting these juices is better that eating the actual plants because they have higher amounts of vitamins, which are of various varieties. However, this does not mean that eating the fruits and vegetables is not beneficial. While doing so, is it advisable to consume those produced organically, since those that do not grow organically contain chemical pesticides and fertilizers. These chemicals may harm your body, while also preventing the proper and adequate absorption of nutrients. They contain nutrients and vitamins that assist in alleviating withdrawal symptoms like constipation and headaches. They are good at repairing the substance abuse damage upon your body, boosting the energy levels and improving your overall health. Asparagus are helpful in liver drainage since it is the organ responsible for the removal of toxins in the substances you consume. Hence these anti-inflammatory foods promote proper drainage, thus improve your health. It is advisable to eat asparagus as steamed or raw, especially at breakfast. Basil is among the multiple spices used in Italian-inspired salads, pasta dishes and stir-fries. As it acts as a diuretic, it has a high amount of antioxidants and thus helpful in the elimination of toxins from your system. The best basil to use should be fresh and from a herb garden. Due to its antioxidants and natural antimicrobial properties, cinnamon is a sort of herbal medicine that treats menstrual pain and nausea, which you will often experience during the detox period. It is also good at controlling diabetic blood sugar issues. The rich antioxidants in the citrus fruits play a significant role in boosting your immune system and protecting your body against free radical damage. Since you will need to boost your self-confidence through your appearance in the recovery period, taking ample amounts of these fruits will help with the restoration of your hair and skin appearance. 95% of the cucumbers is water, which is quite effective in flushing out of toxins. Additionally, these vegetables will provide you with nutrients like vitamin C, potassium, beta-carotene and magnesium. Despite that they could give you a bad breath; garlics can also assist in detoxifying your body. They do so by stimulating the liver to continually produce detoxification enzymes, which act by removing the harmful residue present in the digestive system. Leafy greens entail a large group of vegetables such as kale, spinach, collards, bok choy, romaine and dandelion. They all have ample supply of chlorophyll that is good at removal of toxins and promotion of liver detoxification. Turmeric is known to be a natural and powerful anti-inflammatory substance that helps to alleviate pains and aches caused by withdrawal symptoms. During the preparation of your meals, it is advisable to use olive oil since it is a form of healthy fat. Whole grains are high in antioxidants and essential nutrients. They also contain high levels of insoluble fiber that can control your appetite. Caffeine- it is only good at providing energy boost. However, it triggers mood fluctuations, which could further lead you to develop cravings. Hence should be avoided. Fast foods- as mentioned earlier, avoiding bad fats is essential to your detox process. Fast foods are among the bad fats since they contain high levels of fats, sugars and salts, which will make your stomach bloat. Refined carbohydrates and sugary foods- these contain calories that hardly provide any nutritional value. Additionally, the cause mood fluctuations. Massage– it is good at reducing bone and muscle pain, as well as stress. Dietary supplements– if getting the vitamins and minerals from natural sources is a challenge, dietary supplements advised by the doctor can be helpful. Acupuncture– it is good at calming your thoughts and reducing cravings. Yoga– it helps in coping with anxiety and insomnia. All the above detox activities may not be enough to calm down all the withdrawal symptoms, as some will persist and cause you much agony. At this point, the addiction specialists will prefer to put you under medication, to reduce the risk of death or worse consequences. In conclusion, a good detox does not only entail clearing toxins from your body but also ingesting the best substances that can help your body heal faster. The healthy nutrients that you neglected to consume due to lack of self-care as an addict can go a long way in helping your body recover from the damage done. Additionally, you must stay clear of foods that could cause you more problems such as increasing mood swings and cravings. As the doctor administers medication to cater for the severe symptoms, you should not give up on consuming these healthy foods, since these medications also cause some side effects.